This week we explore the age old question of podcasting.. just how many hosts can you have before a show descends into madness? As the title suggests we ended up with eight hosts on this weeks AggroChat and I think for the most part we exited on the other side with our sanity still in place… or what little we actually had of it to start. This week Ashgar and Kodra are both travelling, and as such I made plans to cover for them if they were unable to make it for the show. However because they are the consumate professionals that they are… they figured out a way to podcast remotely. This left me with the choice of either backing out on the folks I had arranged or just push forward into madness. Like usual I chose the path of madness. This week we have quite possibly our longest show to date as we aske the question if Eight is Enough? This week we talk about Kodra’s trip to Canada, and his descent into Pathfinder Online. This spurs a discussion about the recent crop of MMO nostalgia titles and how they all somehow miss the boat on what made those early MMOs so interesting. 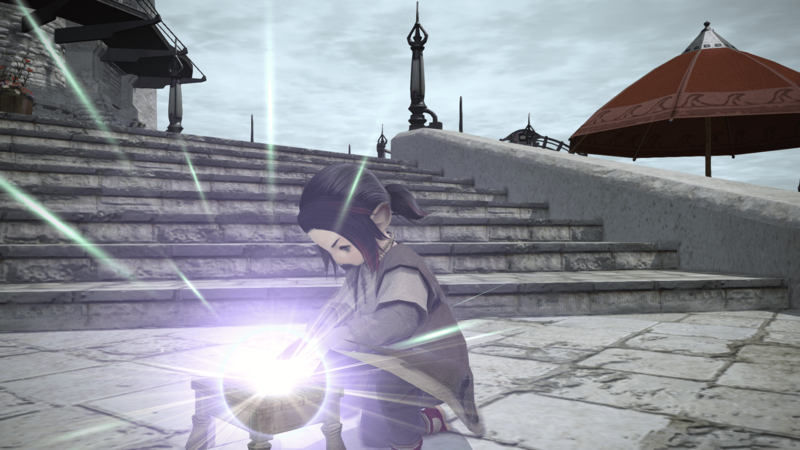 Since all of us literally are playing Final Fantasy XIV we spend a good deal talking about our two groups working on turn nine of the Second Coil of Bahamut, as well as contrasting WoW and Final Fantasy raiding experiences. Grace talks about her experience leveling a ninja and how this game causes us to play things we didn’t think we would ever like playing. I talk about my complete and total embrace of the black hole that is the crafting system and how I have managed to push all classes to fifteen this week. On top of this we talk Sword Art Online in both the Anime and Game forms. We talk a bit about how each of us is trying to wrap up our time in Shadowrun in preparation for next weeks show. We talk Mad Max Fury Road and to a lesser extent Orphan Black. Ashgar talks about his continued experiences with Radiant Historia, and Thalen ventures into Broken Age. Dallian and I talk about our experiences this week playing Witcher 3, and how the Hearthstone mobile app doesn’t work nearly as well as we would have hoped it would. Finally we wrap things up with some discussion about Moonrise and the impending steam early access. It was without a doubt one of the biggest shows we have recorded but also extremely enjoyable to participate in. It seems we somehow were able to juggle eight people on a show without complete chaos.